Having to replace a set of tires can be an inconvenience, but it’s inevitable when you own a vehicle. While some drivers may try to rush through the process and install the cheapest possible tires, others may want to investigate their options. Of course, when they start to research the different types of tires, it may be a bit overwhelming. After all, there are a variety of options that cater to different seasons, vehicles, and driving habits. There’s one particular attribute that drivers tend to look for when they’re shopping for new tires: convenience. It can be a hassle to have to constantly change your tires based on the season or weather, and it can be especially frustrating when these tires begin to show signs of decline after a single year on the road. 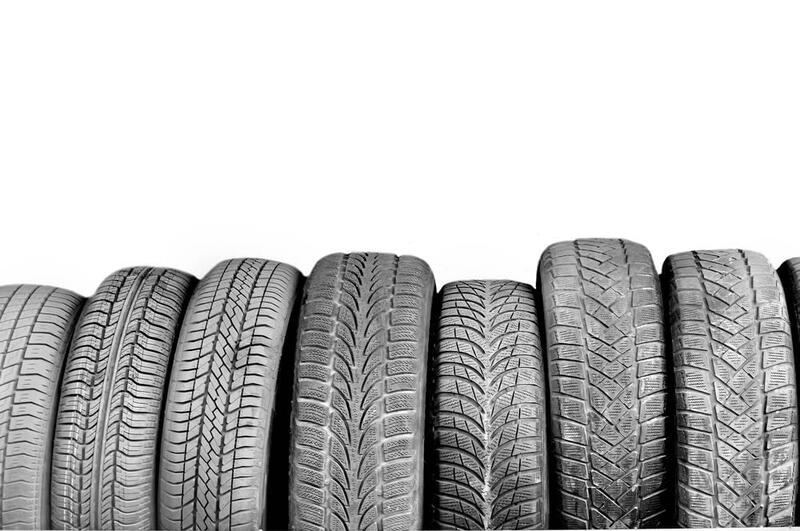 With all-season car tires, drivers won’t have to worry about any of these inconveniences. The rubber is made for year-round traction, meaning the tire can effectively adapt to the weather. The tread of an all-season tire tends to wear slower than it counterparts, and they’re generally commended by drivers for their smooth and comfortable ride. Of course, the “all-seasons” don’t provide the handling or traction benefits that you’d find from performance tires. Best of all, these tires are generally made for any type of vehicle, including small sedans and light-duty SUVs. For those seeking a bit more versatility from their all-season tires, the performance version may be the proper route. These tires have many of the same benefits as the all-seasons, but they also provide a bit more functionality. For instance, the performance all-season tires will help improve the vehicle’s handling and braking. Drivers will also find that they’re able to comfortably drive at higher speeds, regardless of the conditions. On the flip side, these performance tires are generally more expensive than their regular counterparts. While the tread life is still commendable, you’ll likely find that they wear quicker than the regular all-seasons. These tires are also unlikely to be compatible with smaller sedans, but they should fit fine with any larger vehicle. These tires are top-of-the-line, and you’ll generally find them featured on high-end SUVs or luxury vehicles. The all-season version of these ultra-performance tires take the capabilities of those previous tires to another level. Drivers will experience maximum handling, and the improved responsive steering will be appreciated in both wet and dry conditions. While the handling and steering may be improved, drivers will surely see a decline in their ride comfort. Furthermore, these tires tend to last about half as long as the regular all-season tires. If you purchase ultra-performance tires that are specific to a certain time of year, it could be dangerous to not use alternatives when the weather changes. If you prefer to equip your vehicle with sportier tires during the summer, you’ll have to consider an alternative set for the winter. Snow tires are specifically made to cater to the winter months, and they’ll perform better on snow or ice than regular tires. Drivers will find that these tires provide better traction and improved stopping distances in bad conditions. Best of all, the rubber is generally made to adapt to the cold, so you won’t find that these tires are compromised when it’s freezing outside. While you may discover that the cold will damage your summer tires, you won’t run into any of these issues with winter/snow versions. These tires are generally reserved for drivers who rely on a different set of tires during the spring and summer. These tires are generally bulkier and thicker than their summer counterparts. While performance may be reduced, drivers will surely see an improvement in traction. This can be especially helpful when driving on wet or icy roads. While these tires would be more than capable of performing during the summer months, you’ll likely be adding some unnecessary tread wear. If you want these tires to assist you through multiple winters, it’s a good idea to only use them during the colder months. Trucks are generally required to haul heavy loads, so these types of vehicles understandably require their own specific type of tires. The all-season versions of truck tires are meant for versatility, and drivers can rely on them, regardless of the weather. While truck tires wear quicker than their regular counterparts, you can still expect to get at least 50,000 miles out of them. Of course, it’s important to remember that these truck tires are presumably too large for any regular sedan. By installing these tires on an improper car, you may be compromising the mechanics and integrity of the vehicle. Some truck drivers are required to drive off the beaten path, whether it be on dirt, sand, or grass. The heavy-duty rubber and extra traction of all-terrain truck tires will allow you to travel in any condition, assuming the terrain isn’t too bumpy or uneven. These tires also improve your truck’s performance in the snow, and they can certainly be relied on for year-round use. Just because you’ve installed all-terrain tires, doesn’t mean that your truck is suddenly able to travel down an off-road path. These tires are generally meant for light off-roading, and your truck will presumably require more modifications if you want to test it further. Finally, if truck drivers rely on a different set of tires during the warmer months, they’ll want to have a winter/snow version ready for when it gets cold. Similar to their regular counterparts, these tires improve traction and control on icy and snowy surfaces. If you’re still unsure of what route to pursue, get advice from a trusted mechanic at Depaula Chevy. Their expertise and experience will help provide some guidance as you look to make your next tire purchase.